L9710, Korea "Korean War Victory 65th Anni. 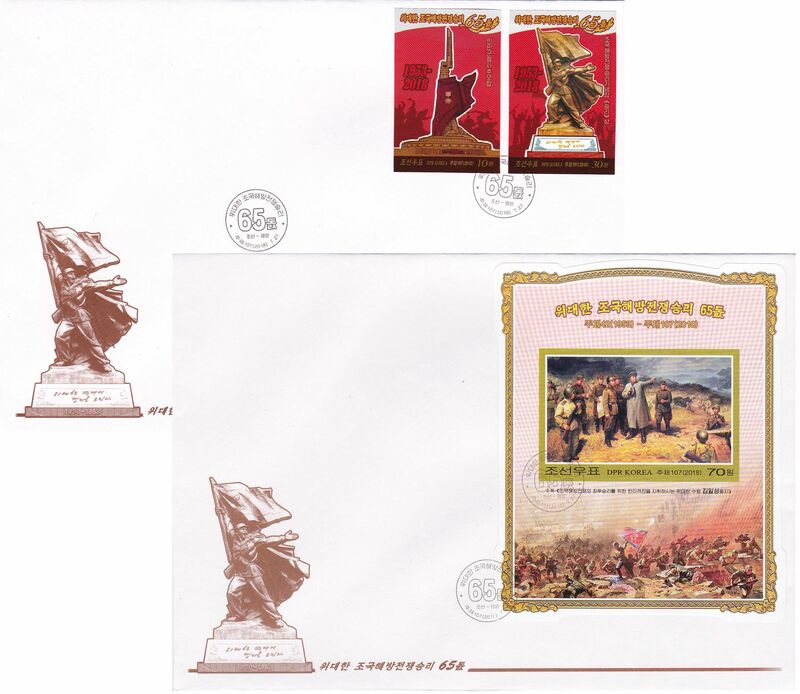 ", 2 Pcs First Day Cover, 2018 Imperforate. XF condition, please see the pictures. Full set of 2 pcs stamps and 1 pcs SS, in 2 pcs FDC.